Perspectives on Satipaṭṭhāna is a companion volume to your earlier publication, Satipaṭṭhāna: The Direct Path to Realization. How are the two books distinct and how do they work together? My first book, Satipaṭṭhāna: The Direct Path to Realization, came out of a PhD I did in Sri Lanka. 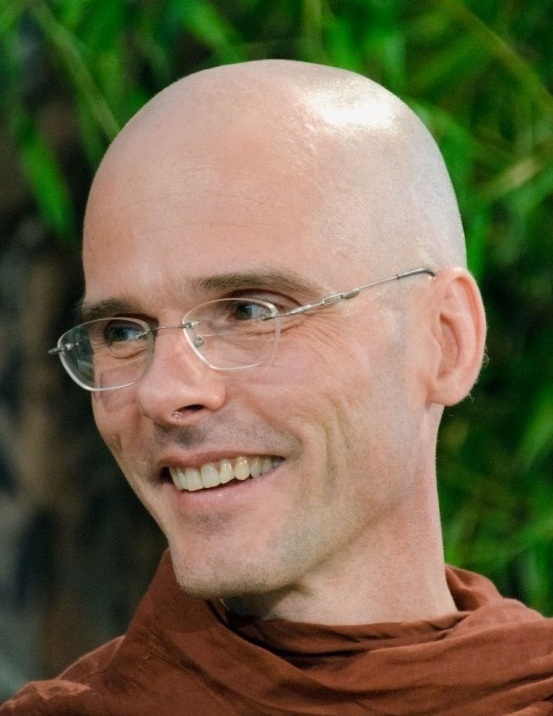 It was the product of my academic study of the Satipaṭṭhāna Sutta, the practical experience I had gained in meditation, and what I had read about the experience of other meditators and teachers – I tried to bring all that together to come to a better understanding of the text itself. At that time I was working on the Pali sources of the Satipaṭṭhāna Sutta because the Buddha’s teachings were transmitted orally from India to Sri Lanka and then eventually written down in Pali, which is fairly similar to the original language or languages that the Buddha would have spoken. However, the transmission of the Buddha’s teachings also went in other directions, and we have versions of the Satipaṭṭhāna Sutta in Chinese and Tibetan. So after completing my PhD I learnt Chinese and Tibetan so that I could engage in a comparative study of parallel textual lineages, and this is the focus of my new book, Perspectives on Satipaṭṭhāna. Although this was, at the outset, mainly an academic enterprise, what I discovered really changed the focus of my practice. When I took out the exercises that were not common to all three versions of the Satipaṭṭhāna Sutta, I was left with a vision of mindfulness meditation that was very different to anything I would have expected. Contemplation of the body, which is the first of the four satipaṭṭhānas, for example, is usually practised in the form of the mindfulness of breathing and being mindful of bodily postures, but these exercises are not found in all versions. What I found in all three versions were the exercises that most of us do not like to do: seeing the body as made out of anatomical parts and thus as something that it is not beautiful, as something that is made up of elements and thus does not belong to me, and the cemetery contemplations – looking at a corpse that is decaying. So then I understood: body contemplation is not so much about using the body to be mindful. It is rather predominantly about using mindfulness to understand the nature of the body. As a result of these practices one will become more mindful of the body, but the main thrust is much more challenging. The focus is on insight – understanding the body in a completely different way from how it is normally perceived. Normally we look at the body and see it as ‘me’, but these texts are asking us to take that apart and see that actually we are made up of earth, water, fire and wind, of hardness, fluidity and wetness, temperature and motion. They are asking us to directly confront our own mortality – to contemplate the most threatening thing for us: death. I found a similar pattern when I looked at the last satipaṭṭhāna, which is contemplation of dharmas. The practices that were common to all three versions were those that focused on overcoming the hindrances and cultivating the awakening factors. The emphasis is not so much on reflecting on the teachings, the Dharma, but really on putting them into practice, really going for awakening. As a result of this discovery I have developed a new approach to the practice of satipaṭṭhāna which I have found to be very powerful, and this would never have happened if I had not done the academic groundwork first. Your books are a combined outcome of scholarly study and practical experience of meditating. Do you find that these two approaches are generally compatible with each other, or do they ever come into conflict? It is not easy to be a scholar and a practitioner at the same time. If you look throughout Buddhist history, it is more usual to find Buddhists who are either practitioners or scholars than Buddhists who are both. However, for a while I have been trying to achieve a balance between these two sides of me, and I have found a point of concurrence: the main task of meditation is to achieve ‘knowledge and vision of things as they really are’ and actually this is the main task of academics as well. We use a different methodology, but the aim of both is to understand things as they really happen. If I take that as my converging point, then I am able to be both a scholar and a meditating monk, and this has been a very fruitful combination for me. Both of my books are aimed at people who, like me, are interested in academic study and meditation. They are academic books where the final aim is to help people develop their meditation practice. They are not books for beginners, and the second book builds on the first book, so one would need a basic familiarity with what I covered in Satipaṭṭhāna: The Direct Path to Realization in order to fully engage with Perspectives on Satipaṭṭhāna. Both of your books mention the idea of satipaṭṭhāna as a form of balance, and the title of your new book suggests that there are many different perspectives on satipaṭṭhāna that could be taken into account. Is the very essence of satipaṭṭhāna practice a balance of perspectives or is there one particular perspective on satipaṭṭhāna that has been most useful in the context of your practice? I think that balance is an absolutely central aspect of mindfulness practice. If you look at the Awakening Factors, the first one is mindfulness and the last one is usually translated as ‘equanimity’, but in my opinion it would be better to understand it as balance or equipoise. To be balanced means to be mindful and open to the present moment, to be free from desire and aversion, and this is what the Satipaṭṭhāna Sutta continually comes back to. I believe that balance is also an essential element of academic study. If, through my mindfulness practice, I am cultivating openness and reception then how can I say that one approach to a topic is totally right and another one is completely wrong? If I do that, I have to exclude all of the other approaches from my vision. Often, when we get into very strong opinions, we have tunnel vision – we see only one part of reality, one side of it, but that is not how things really are. So, in my academic work, if I find one approach that seems more reasonable to me, I keep it in the foreground, but I have to keep the other approaches in the background, I cannot just cut them out. Satipaṭṭhāna: The Direct Path to Realization and Perspectives on Satipaṭṭhāna both mention the importance of combining self-development with concern for others. Does satipaṭṭhāna practice lead naturally to a person becoming more compassionate or is it necessary to engage in other practices to achieve this? Is satipaṭṭhāna practice a solitary activity or is it important that it is undertaken in the context of a Sangha? I think that compassion is a natural outcome of Satipaṭṭhāna practice, but it is also good to encourage it in other ways as well. There is a simile from the Satipaṭṭhāna Samyutta of two acrobats performing together on a pole – we need to establish our own balance in order to be in balance with other people and the outside world, but other people and the outside world are also the point at which we find out about our own balance. I can be practising alone, sitting in my room, feeling that I am so incredibly balanced and equanimous, but let me get out into the world and have some contact with people, come into some problems, and see how balanced I am then! Of course, time in seclusion and intensive meditation is essential, but there must always be a wider context to our practice. Find out more about Anālayo’s Satipaṭṭhāna: The Direct Path to Realization and Perspectives on Satipaṭṭhāna.